Online gambling has its own unique benefits, but also high risks. Because of the wide variety of games which can be played in the comfort of your home, the multiple payment options, the amazing bonuses and points and the low stakes, online gambling has become incredibly attractive. However, online gambling comes with a risk related to players’ mindset. If you don’t follow the golden rules of responsible gambling and turn it from being a hobby into an addiction, you’ll risk damaging your life and your family’s wellbeing. Gambling for fun is relaxing, however, if you’re not careful, it can turn into a damaging hobby. We’re using hobby very loosely because if gambling becomes your main source of income, then you’re risking a serious problem. Gambling addiction is very dangerous and can cause you to develop a destructive behavior in every part of your life. When gamblers become desperate because of suffering great losses, they start acting immorally and unnatural. It’s common for them to start having major problems in the workplace due to stress which can lead to losing their jobs, borrowing money from loan sharks as well as stealing. It’s a dark place which can be avoided by simply following a few rules. 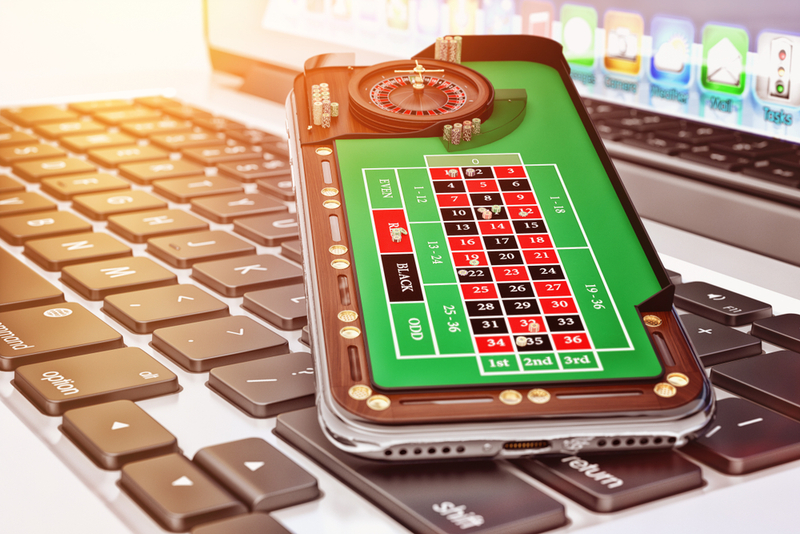 Online casinos are doing all they can to help gamblers play safe online by offering different tools and options which can be used to guarantee responsible gambling. Sometimes, players need outside help to ensure that they’re playing within safe and responsible boundaries, without taking major life damaging risks. To guarantee that gamblers stay safe on UK casinos online, the UK Gambling Commission focuses on providing a secure and entertaining environment for online gamblers. It offers licensing exclusively to online casinos which integrate the security and fairness in the games they offer. By following the main online casino safety tips and using their responsible gambling tools, gamblers can enjoy thrilling and fun sessions of gaming. Self-exclusion is a tool provided by online casinos which allows gamblers to set a definite period from 24 hours to 5 years during which they won’t have access to their online account. Also, gamblers can choose to permanently exclude themselves from accessing any online casino. However, you can’t ban yourself from all online casinos at once. You can simply limit the value of the deposits you’ll make during a timeframe which can extend up to one month. When you’re close to the limit, the online casino will prompt you and won’t allow you to make any other deposits when you reach the restriction’s level. When it comes to limiting losses, online casinos usually allow you to choose the value of money you find to be a reasonable loss during a period, e.g. you can set your losses at a value of £80/week. You can’t modify the restriction’s value before the limited period expires. It’s a game of will power to stop yourself visiting a different online casino and wager there. The cooling off period is a shorter form of self-exclusion which can last from about 5 minutes up to how long you decide. You can’t wager any money during the set timeframe. It’s helpful with games where you wager by the second because it gives you time to evaluate your strategy and decide how much more you want to gamble. These restriction tools limit the duration of time which you spend on a gambling site by session or by day. They’re very effective because they improve players’ gambling management skills. The best way to integrate a responsible gambling mindset is through self-awareness. You should perform an evaluation of your behavior and approach to gambling. Answer questions such as Why are you gambling? When do you gamble? Do you gamble to escape your day-to-day lifestyle because you’re unhappy and depressed? What are the risks you’re taking? Are you using your savings? and finally Do you identify the features of an addiction in your gambling routine? You can use various online tools and resources to record how much you gamble. Establish separate e-wallet accounts specifically dedicated to gambling. Set a monthly budget for yourself and at the end of the month study the transactions you’ve made. You’ll get a clear view about your gambling behavior. If you feel that you’re losing control of your gambling and you’re embarrassed to admit it to any of your friends or family members, you can contact different online organizations which aid and offer special treatment, under strict confidentiality, to guarantee that you get your life back together again. However, you can also take a self-help approach and by strictly following the guidelines and rules given, take control over your own life again. Also, if you believe that one of your friends or family is suffering from a gambling addiction, you should discuss the problem with them and offer to help. Responsible Gambling embraces both the online casino and the player. The online casino should provide the necessary tools and ensure a safe and fair gambling environment, while players should take full control over their gambling and set boundaries and limits to prevent major loss risks or gambling addiction. Gambling is fun and can be enjoyed by any player worldwide, however the more you control it, the safer you and your family are. Be responsible, play it safe, and enjoy the benefits of online gambling.